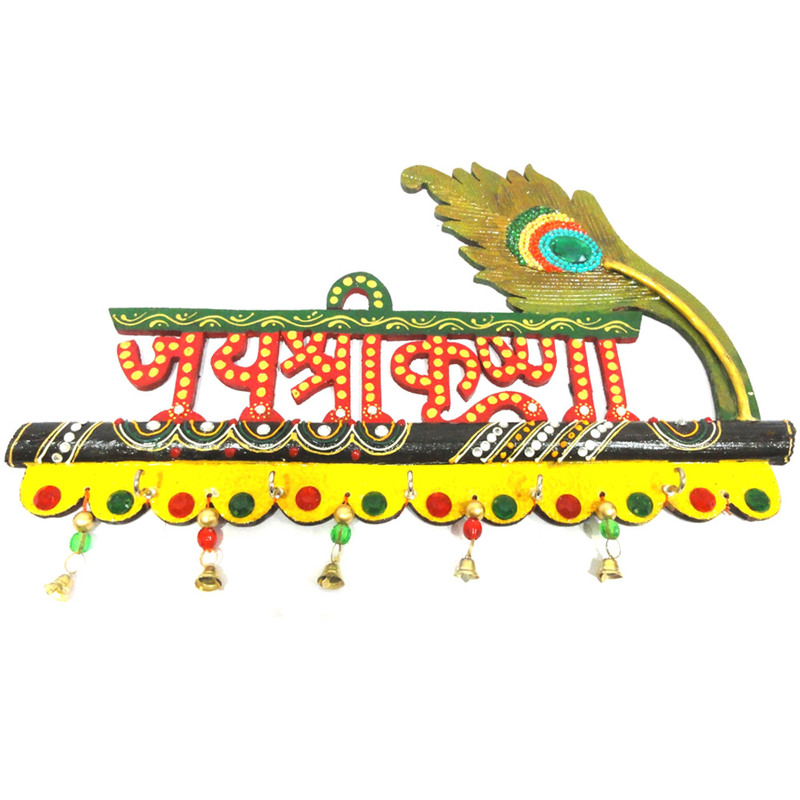 The Key holder comes in the shape of "Jai shri Krishna" and is made up of wood. This is a 100% handmade product and is Read More..adorned with tiny crystal design of varied colors. The key stand is also studded with pearl and kundan designs. This decorative piece is sure to bring in your house an aesthetic touch. It helps in reflecting the morales of traditional India. besides being a utility product, it is also acts as a show piece. Show Less..